So I stumbled upon this article (leading to a website where you can purchase of course) a “miracle” immunity and flu prevention essential oil blend. (Made by what seems to be a small but high quality company, not the “big Two” we all know). So anyway after reading testimonials of people fending off colds and flu and people who were sick and recovering quickly with using this blend; I finally found what was in it! There was of course no “recipe” for how much of each ingredient, but I am fairly savvy with essential oils (hot versus not, strength and usage). 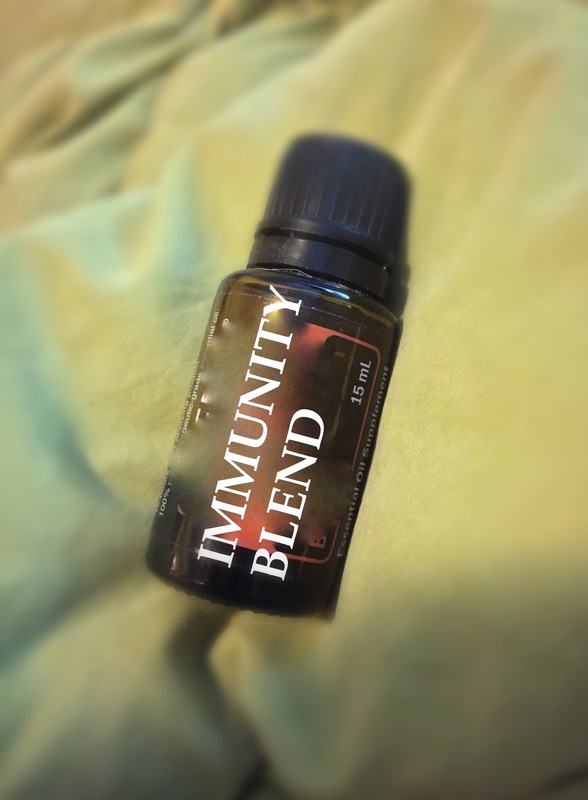 So I made my own flu/immunity blend and I want to share with everyone! Mix together in a bottle and apply as liberally as you are comfortable to chest and bottoms of feet (being careful on chest being that oregano and cinnamon are “hot” oils). Also inhale off and on, and a drop or two on throat if sore throat is coming on. You can also diffuse into the air. Both my parents are desperately ill and (so far, fingers crossed and prayers offered up) I haven’t gotten it yet. I recommend only using doterra or Young Living brands as all others do not have the quality or purity or high standards. You do get what you pay for! I have test purchased from other lesser known “high end” companies that had good ratings, and found them lacking.